This island ranks #7 of the "Best atolls in the Maldives"
Budget travelers prefer Maafushi, as well as other local islands. Price fares and service can vary greatly from hotel to hotel, so it is best to read the latest reviews. 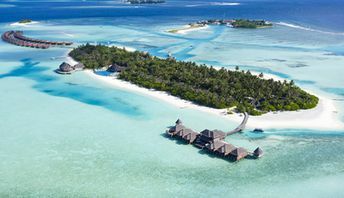 As for the islands resorts, it is worth mention inexpensive Fihalhohi and Biyadhoo. Or you may stay at Maafushi, and take daily tours to private islands. Please note, that all island resorts have a limit on the daily guests. So sometimes you won't be able to get anywhere. Fly to Male International Airport (MLE). Next get by the speedboat of your hotel (about US$150 per person per way). To get to the local islands, it is best to take public government ferry # 311 or # 310 (www.mtcc.com.mv). These are ships being large enough. The service is good, while the ticket costs less than US$5 (paid in a local currency). The high season in Maldives is a dry period in the winter half of the year. However, the summer has also many great sunny days.